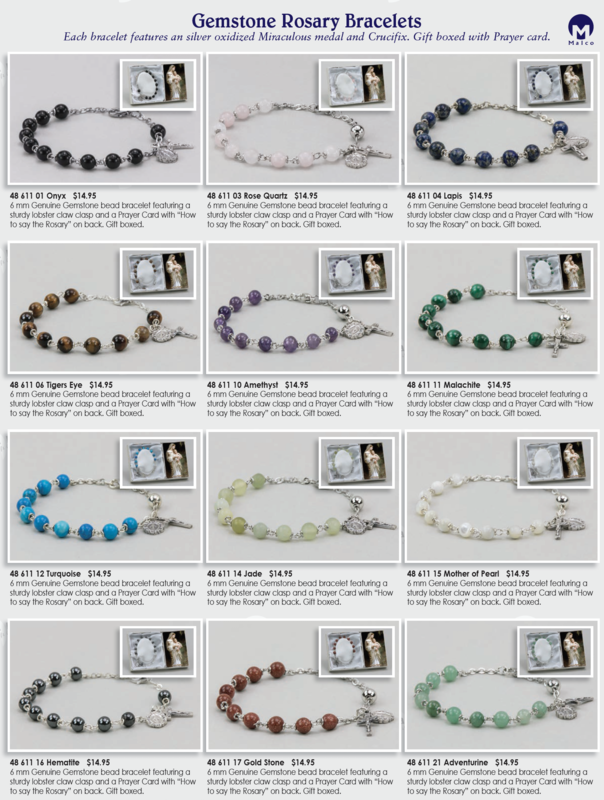 Each bracelet features an silver oxidized Miraculous medal and Crucifix. Gift boxed with Prayer card. to say the Rosary” on back. Gift boxed.